The whole Indian team appears to be charged ahead of their clash against the Hosts Australia as they want to create history by clinching the Test series for the first time. They have proved their superiority in the recently concluded three Test series against West Indies by winning 2-0 which was followed by an empathetic 4-1 victory in One Day Internationals. We will highlight the previous tour of India which was conducted in 2007-08 and their performance. India played four Tests under the leadership of Anil Kumble while Ricky Ponting was the Captain of Australia, the home side won the series 2-1 as one Test was drawn. The first Test was played from December 26-29, 2007, at Melbourne Cricket Ground. Australia 343, Matthew Hayden 124, Phil Jaques 66 runs and 351 for seven wickets declared, Michael Clarke 73 runs. 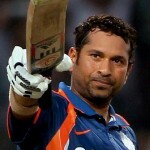 India 196 all out, Sachin Tendulkar 62 runs and 161 all out, VVS Laxman 42 runs. Result – Australia won by 337 runs. The Second Test was held at Sydney Cricket Ground from January 2-6, 2011. Australia 463, Andrew Symonds unbeaten 162, Brad Hogg 79 runs and 401 for seven wickets declared, Michael Hussey unbeaten 145 and Hayden 123 runs. India 532, Tendulkar unbeaten 154, Laxman 109 and 210 all out, Sourav Ganguly 51 runs and Kumble unbeaten 45 runs. Result – Australia won by 122 runs. The third Test was held at Western Australia Cricket Association Ground, Perth, from January 16-19, 2008. India 330, Rahul Dravid 93, Tendulkar 71 and 294, Laxman 79, Irfan Pathan 46 runs. 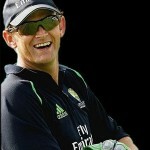 Australia 212, Symonds 66, Adam Gilchrist 55 and 340, Clarke 81, Mitchell Jonson 55 runs. Result – India won by 72 runs. The fourth Test was played from January 24-28, 2008, at Adelaide Oval. India 526, Tendulkar 153, Kumble 87 and 269 for seven wickets declared, Virender Sehwag 151 runs. Australia 563, Ricky Ponting 140, Clarke 118 and Hayden 103 runs. Sehwag secured the top average of 71.50, the best of 151 runs with one fifty while smashing 286 runs in just two matches. Tendulkar was the highest run scorer by thrashing 493 runs at an excellent average of 70.42, the best of unbeaten 154 runs with two centuries and even fifties. Laxman scored 366 runs averaging 45.75, the best of 109 runs with two fifties. Dravid was reasonable by scoring 237 runs at an average of 33.85, the best of 93 runs with two fifties. All four of them are a part of the strong outfit and will be eager to enhance their previous record. India has never won a Test series against the Kangaroos at their home but the confident unit under the leadership of Dhoni believes this is the best time to create history. It will be a miracle if India can win even a single match in Australia. 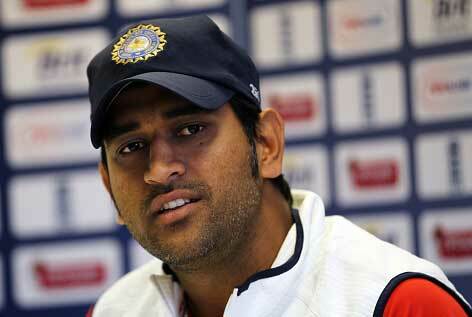 Australian pitches favour bowlers and India’s strength lies in their Batting and not bowling. Not to mention that India’s performance on foreign soil has been dismal. They were humiliated in England. Don’t understimate India, they will not give up easily. It is going to be a tough contest that is for sure.